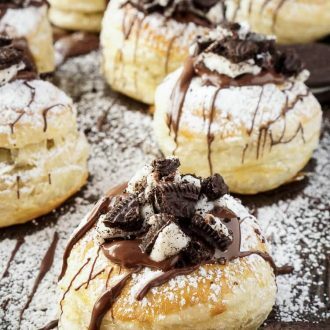 The Croissookie is a decadent pastry dessert that’s so much easier to make at home than it looks! I am a huge Supernatural fan! But unfortunately, the last year has left me with little time to watch my favorite shows and I’ve fallen greatly behind on some of my favorites. But this past weekend, I decided it was time to catch up, Matt and I were about a season behind in Supernatural, the last half of season 10 and what’s aired of season 11 – not okay. I love Supernatural, but I personally felt that season 6 would have been the perfect series finale as it was originally intended to be. And for a few seasons after, when the fight between heaven and earth got a little out of control, I’d really wished it had ended. But! In the last couple seasons, it seems that it’s really started to find it’s groove again. With Castiel and Crowly becoming more prominent characters and filling the void of those we’ve lost and with new pop-in characters like Charlie, played by Felicia Day and Garth, played by DJ Qualls, the show has really gotten back to its dark and humorous roots! Speaking the good stuff, Dean is a little more himself these days and back to eating the deliciousness that entitles him to take over for Guy Fieri on Diners, Drive-Ins, and Dives. At the beginning of one of the episodes as I was catching up, Dean introduced me to this magnificent treat: The Croissookie! SAM: Hey. [He notices what Dean is eating.] What in the world? DEAN: Mmhmm. 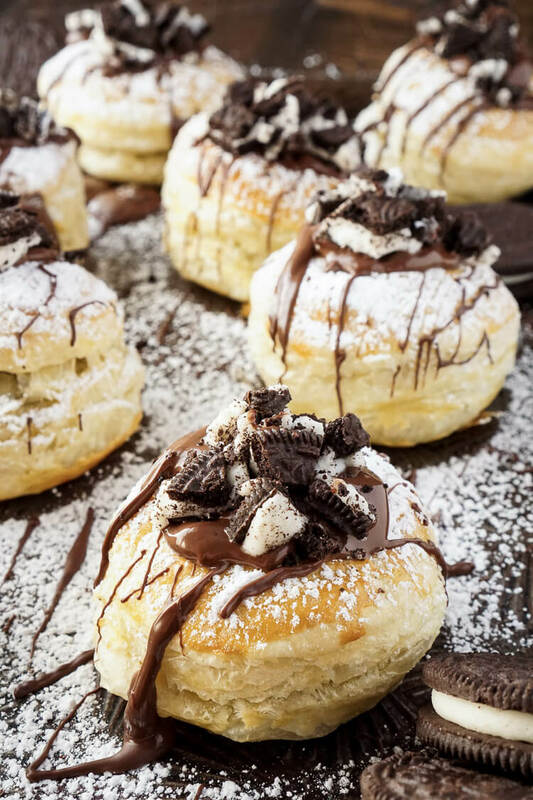 Yeah, they’re the new cronuts. DEAN: Who gives a crap? They’re freakin’ awesome. So obviously, I had to make this happen and I had to make it happen fast, I need this thing in my life! But here’s what kinda of shocked me, this episode aired in Spring 2015, why aren’t people on this, why aren’t there recipes on every blog in the world by now. Am I the only blogger cool enough to watch Supernatural? Are they too hard to make? 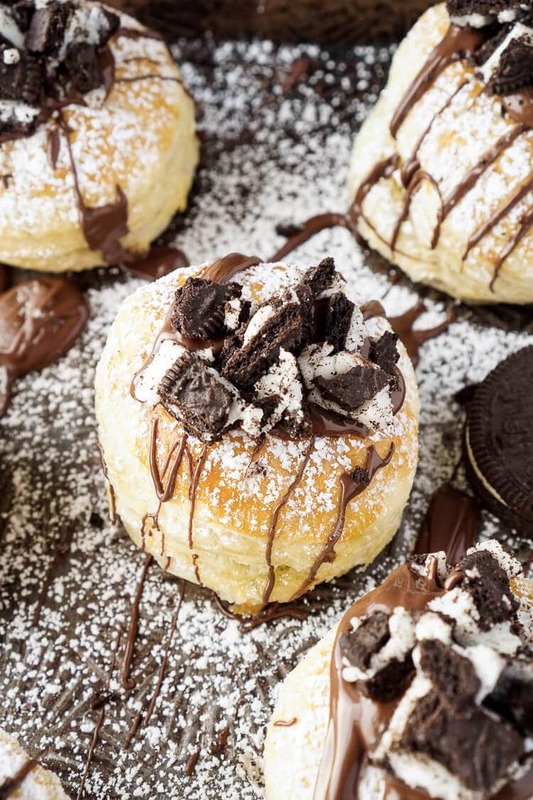 I did find that the original name follows the Cronut and the Cruffin and is actually referred to as a Crookie in the bakeries they’re served at, but honestly… Croissookie is way more fun, so I’m sticking to it! These pictures look like these things just came out of some fancy bakery, right? But they’re actually pretty easy to make right at home! They’re ready in less than 30 minutes and only have 5 ingredients – Hello, AMAZINGNESS! 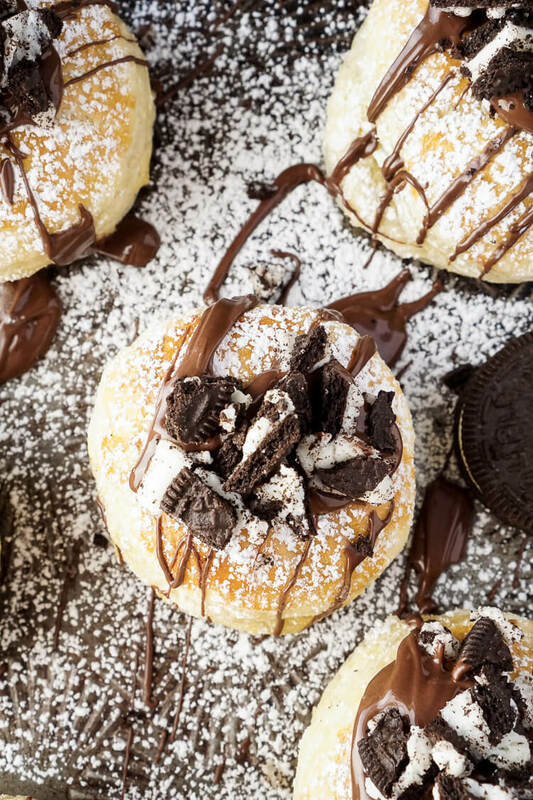 Basically, you’re looking at a Double Stuf Oreo that’s been sandwiched between two circles of pastry dough, brushed with an egg wash and baked. 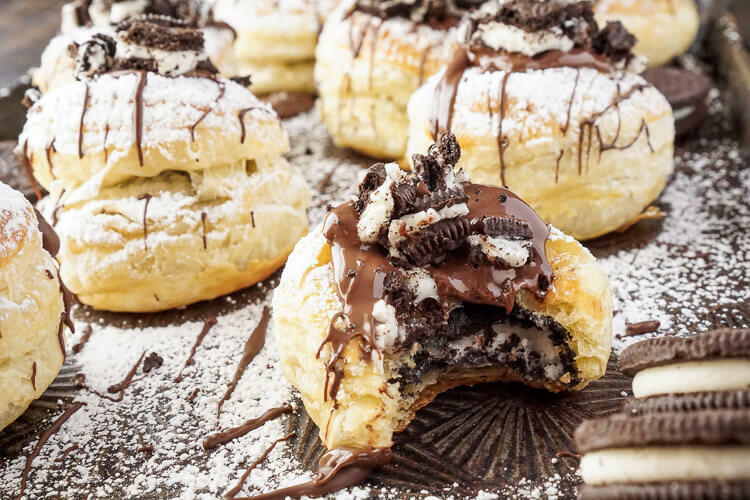 Then we finish it off with confectioners’ sugar, chocolate drizzle, and crushed Oreos. See, EASY! Want to know what a Croissookie tastes like? Well, first of all, Dean is right, they do taste freakin’ awesome. 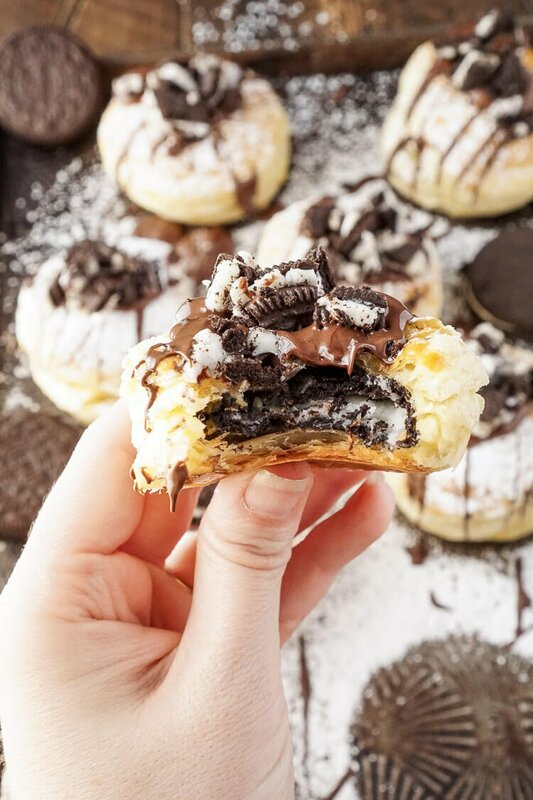 But they actually taste like fried Oreos and they definitely need to be eaten warm for the ultimate Croissookie eating experience! 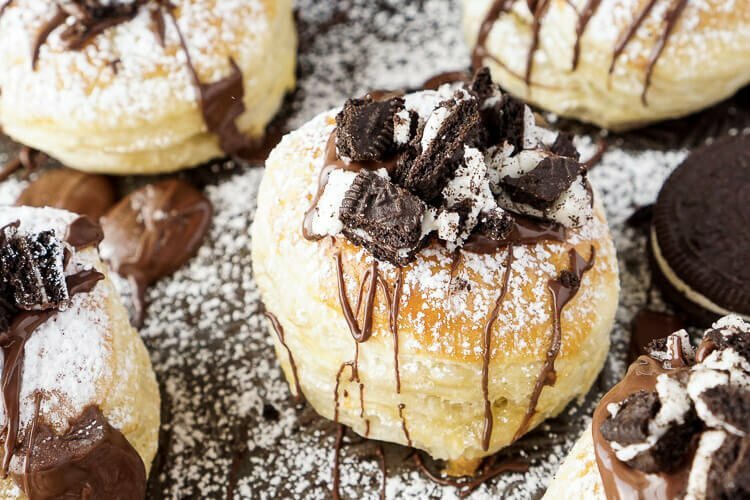 The Croissookie is a decadent pastry dessert that's so much easier to make at home than it looks! 1 package 2 sheets frozen puff pastry, thawed, but cold. Whisk together the egg and water, unfold pastry dough on a clean surface and brush with egg wash.
Cut out 9 circles from each pastry sheet using a 2 5/8 inch round cookie cutter. 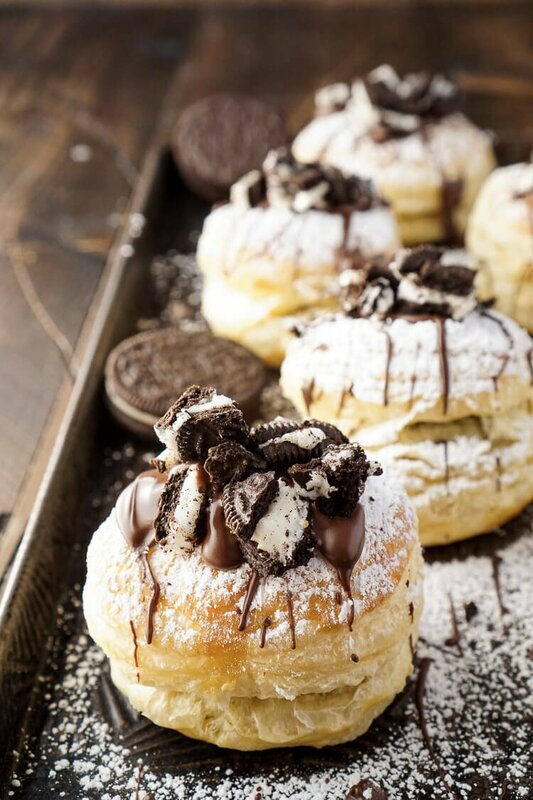 Place one Oreo on 9 of the pastry circles, then place a pastry circle, egg wash side down, on top of the Oreo. Pinch together the circles, I found that folding one edge up and the other down over it worked best, pinching together as I worked around the Oreo. 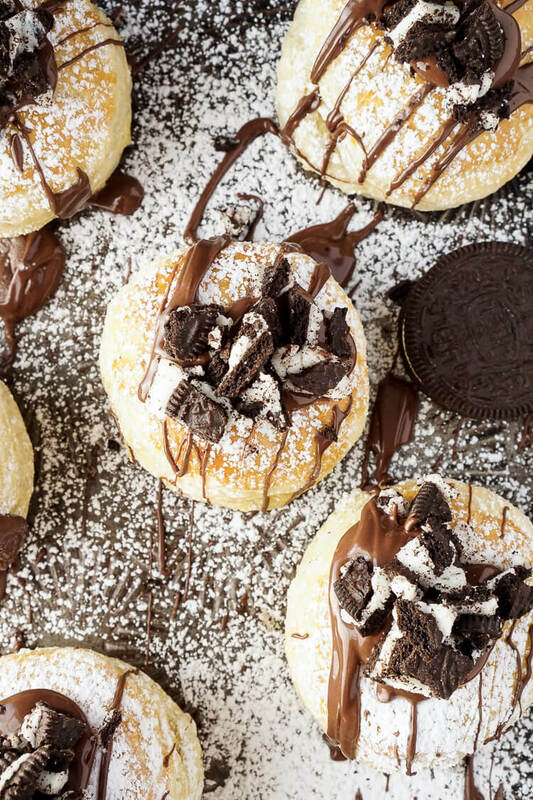 Place prepared pastry covered Oreos on the baking sheet at least 3 inches apart and brush the tops with more egg wash. 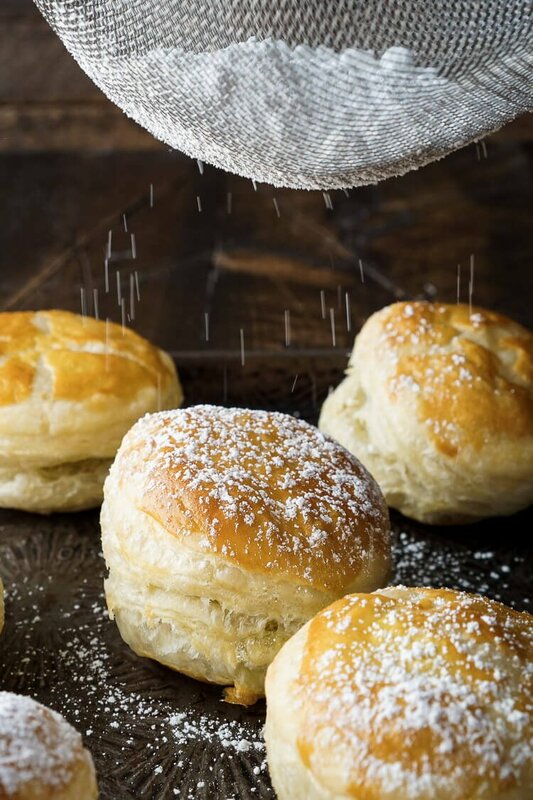 Remove from oven and dust with confectioners' sugar. Chop the remaining Oreos into small pieces. 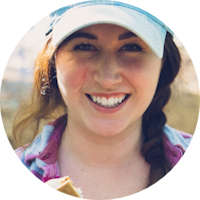 Melt the chocolate chips in the microwave on 15-second intervals, stirring in between, should take about 45 seconds to melt. Add a dollop of melted chocolate to the top center of each pastry, then drizzle more all over each one. Add some of the crushed Oreos to each chocolate dollop so they stick. Enjoy warm. of course! Especially if they’re warm! Hi Rebecca: I saw Dean with the infamous croisookie and immediately found your recipe. Love that show and all of it’s characters. After Grim I’m glad I have Supernatural to watch! I too lovea good chocolate treat! Thanks again! Yay, so glad you found my recipe. I love the show too, I can’t believe next season will be the last, but it sounds like you still have a few seasons ahead of you, so enjoy!